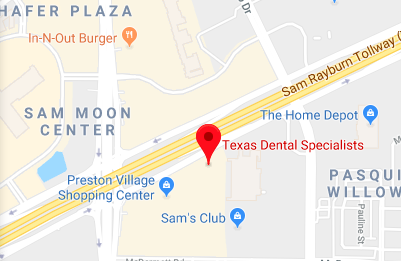 In Plano, two groups of Invisalign users are most influenced by its convenience and inconspicuous nature. The first is the largest user group and consists of adults. For adults, having the ability to straighten teeth without having to undergo the inconvenience of metal braces is a significant advantage. Additionally, patients can still eat whatever food they feel like and have the ability to straighten teeth without making it obvious that they are doing so. These are all factors that play an important role in selecting Invisalign as a treatment option. Unfortunately, many parents have not made the same leap when it comes to getting treatment for their children and teenagers. Typically parents tend to prefer traditional braces for their children and for young ones this is typically the most effective option. However, there is a strong case to be made for selecting Invisalign for teenagers. Teenage Invisalign is a treatment process that was specially developed for the teenage audience. Teenagers make up the second group of users that are most influenced by, and hence are more likely to choose Invisalign based on, the inconspicuous nature of the treatment. When you consider the teenage lifestyle, their busy schedules, the food they prefer to eat, peer pressure, and the importance that looks play in their social structure, it becomes apparent why teenagers prefer teenage Invisalign over traditional alternatives like metal braces. Invisalign Teen is exactly the same as the adult treatment option. It is an alternative to the traditional braces, where metal brackets and wires are used to straighten teeth. Instead, Invisalign Teen uses a series of clear, removable aligners which are worn for several hours of the day to gradually move the teeth into a proper alignment. These aligners are made of clear plastic, which means they are almost completely invisible. The aligners are also removable which allows your teenager to go about life as usual without having the food restrictions that would be placed on them if they wore traditional braces instead. Food restrictions are among the number one reasons why parents everywhere are choosing to use the this system in lieu of traditional metal braces. When your child gets traditional braces, it comes with a laundry list of foods that your child cannot eat and makes your life far harder for having to enforce this no-eat zone. When the list includes everything from raw carrots to popcorn this quickly becomes a hassle both for the parent, who has to enforce it, and for a teenager who has to remember to avoid certain foods. Additionally the metal braces tend to have an impact on sports, making it harder to wear a mouth guard. Being in a band and playing musical instruments can also be more difficult. For example, playing a wind instrument can be uncomfortable more difficult with braces. With Invisalign Teen, none of these problems exist. Since the aligners are supposed to come out while eating, playing sports, playing an instrument and brushing teeth, there is no need for a teen to worry about being unable to live life like normal. If you are interested in straightening your teeth or learning more about Invisalign Teen, call our Plano office and schedule a consultation. As an Invisalign® dentist, we are seeing a greater interest in young adults and teens for this alternative means of straightening teeth. Invisalign® has two distinct qualities that make it immensely popular among adults. They are extremely convenient to use, and they are very discrete. The inconspicuous nature of these tooth straightening devices have made them a favorite among adults who want to straighten their teeth without having the slightly embarrassing look that comes from wearing traditional braces. For adults, it is almost revolutionary that they have a discrete path to straighter more beautiful teeth. Sadly, a lot of parents have not made the same leap when it comes to planning a treatment for their teenagers. They are among the largest group that use braces; they are also a group that depends on their parents to make medical choices for them. As such, there is certainly a strong case to be made for selecting Invisalign® for teenagers. There are natural advantages to working with Invisalign®, however, some patients have concerns about the effectiveness, and so it is important to note that this product works on exactly the same principle as traditional braces. Traditional braces work to move teeth into a proper alignment by exerting pressure on them. This is achieved using connected brackets, screws, and rubber bands. With Invisalign® the same effect is evident by using a series of progressive aligners, essentially putting a similar amount of pressure on the teeth to make them move. The difference is that with the new technology, this can be achieved without you or your teenager having to have a mouth full of metal and constantly having to visit our office for adjustments. As an Invisalign® dentist, we find that the conveniences of this solution cannot be understated. One of the biggest complaints teenagers have against traditional braces, other than the fact that it hampers their looks, is the fact that it comes with a laundry list of foods that can no longer be eaten. Since braces are permanently affixed to the mouth, they have to be protected from damage. As a result your child will not be able to eat anything that is too sticky, too sweet, too sour, or too hard for fear that any of these may damage the wires or brackets in the braces. With Invisalign® there are no such restrictions. The aligners are fully removable and are supposed to be taken out to eat meals. Once you are done eating, rinse out your mouth to clean your teeth, then put the aligners back in. As an Invisalign® dentist, we can go over all of the benefits with you during a consultation. Being an Invisalign® dentist gives us the opportunity to work with one of the most renowned and innovative treatment options available. As an Invisalign® dentist, we are extremely excited to be able to create customized plans for our patients and capture every detail of their teeth for a perfect fitting device that works to straighten their malocclusion (also known as crooked teeth). With the widespread message of Invisalign®, including the customer reviews and advertising, it is always fun to run across a patient who has not heard about Invisalign® or what an Invisalign® dentist can do for them. Typically what we find, however, is that a broader segment of the population does not know that there is a treatment option available for adults. Invisalign® is designed to treat adults and older teens, who are often in the most need and the least likely to seek treatment for a variety of reasons. According to the most recent data, only 35% of all American adults have teeth that would naturally be considered be straight. This means an amazing 65% of the population could use the services of an Invisalign® dentist to help with their malocclusion. Even among people who have crooked teeth there are extreme cases. In about 15% of the cases, the malocclusion is so severe that it affects the person's social skills, ability to eat certain kinds of food, and even their ability to talk. As drastic as these numbers may seem, there are an additional 20% of people who suffer from bite misalignment. Your bite is where the top teeth come in contact with the bottom teeth when you bite down. These are supposed to be perfectly aligned, but in the case of many people, they are misaligned. A misalignment (also known as an overbite or an underbite) occurs when one set of teeth protrude further out than the other. This causes the teeth to meet each other in unusual places and leads to uneven wear and tear. Ultimately this can cause cavities and other problems. It also leads to the face not looking symmetrical. There is a huge potential for Invisalign® to treat these folks and give them back the life they deserve. So the question of the hour is: how does Invisalign® work miracles on all these different kinds of patients? The answer is simple; it is science, not a miracle. Invisalign® works the same way as traditional braces, moving the teeth gradually along a designated path so that they eventually end up in perfect alignment. To do this, your Invisalign® dentist will use a series of aligner trays, which are made of clear plastic and, hence, are almost invisible. The trays are custom made for you so that they fit your mouth perfectly. Worn 22 hours per day, the trays gradually move your teeth alignment .25mm to .30mm every two weeks. After two weeks, the aligners will fit much better and it will be time to move to the next set of aligners. The gentle pressure ensures that the teeth move evenly and do not move backwards.